Registration opens today (here) for ASPI’s 8-10 April 2014 international conference ‘The Submarine Choice.’ The conference will bring together senior political decision-makers, military officials, industry representatives and leading academics from Australia and overseas to discuss key issues related to Australia’s Future Submarine (FSM). As Government is moving closer to a decision on what’s going to be Australia’s most expensive procurement decision to date (likely to be $30 billion plus), an informed public debate on the strategic rationale as well as the pros and cons of building the FSM in Australia is critical. The conference will focus primarily on the options most likely to be pursued and around which most work to date has been done. But the run-up to the event provides a good opportunity to debate here on The Strategist some of the ‘holy cows’ regarding the FSM. The previous government had its views on the way(s) ahead, but the incoming government would be well served by taking a ‘first principles’ look at the issues before developing its policy. For example, various interest groups in Australia have worked to lock in the view that the FSM ‘has’ to be built in-country. The primary reason given is that this would be critical to save the ship-building industry from the looming ‘valley of death’ and to develop the foundation for a world-class naval shipbuilding industry. This view has become received wisdom and has almost been left uncontestable. However, while industrial arguments about the FSM certainly should be weighed in the final decision, domestic ship-building is not an end in itself and shouldn’t be the primary driver. Instead, as every good strategist knows, the first-order question is always what the Government wants the FSM to achieve in terms of Australia’s political and strategic objectives. In other words, what are the new boats supposed to do in Asia’s future strategic environment and what are the implications for design etc.? To cut to the chase, do we really need to be able to operate off the Chinese coast to achieve Australia’s political and strategic objectives? Or should we focus on operations much closer to home in Southeast Asia and parts of the Indian Ocean to deny an adversary the ability to project naval power against Australia? Depending on the answers to these questions, you could draw different conclusions as to the design of the FSM. It’s also important to discuss the number of boats to be acquired. 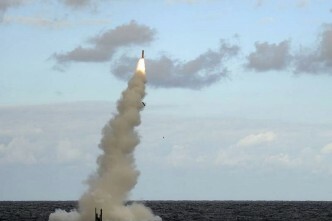 The magic number ‘12’ (emanating from the 2009 Defence White Paper) would mean an increase in the availability of deployable submarines at any given time. As the Navy states: ‘12 Future Submarines should be expected to (theoretically) provide three at short notice, up to six with more notice and a surge to nine at most for a limited period’. Of course, more capability is more capability. 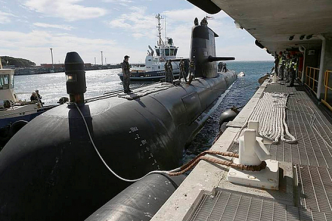 Such reasoning also indicates that Australia’s strategic planners assess that submarines will be essential in a deteriorating future strategic environment in Asia as a serious warfighting capability. 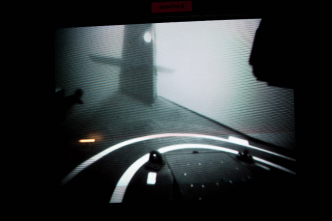 That’s a view shared, for example, by Japan, which has plans to go from its current 16 to 22 submarines. Is Australia ready to play such a role? If so, is the number 12 matched to a strategic effect? For example, can three boats on station make any decisive difference in a major power conflict? The FSM debate also needs to consider the opportunity costs for the ADF as a whole. 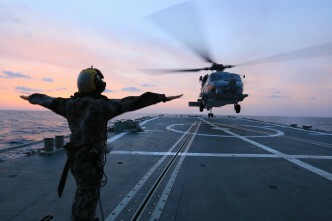 Too frequently, the FSM is discussed in isolation from ambitious plans for a general overhaul of the force, including other very costly kit such as the Navy’s future frigates, the RAAF’s future Joint Strike Fighter or Army’s Land 400. That’s problematic because, even if the costs for designing, building and sustaining the FSM in Australia are spread over several decades and might thus appear modest in relative terms, in absolute terms it’s still the most expensive procurement program in Australia’s history and could significantly reduce the money available for other defence projects. 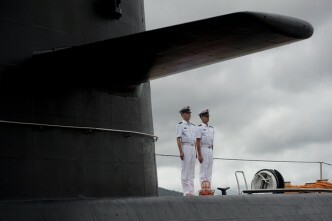 To put it in perspective, a billion dollars represents about 20% of the current annual acquisition budget; expending that on submarines every year for 30 years must have a substantial opportunity cost in the context of the future role and shape of the ADF. The conference will also discuss the industrial aspects of the FSM. 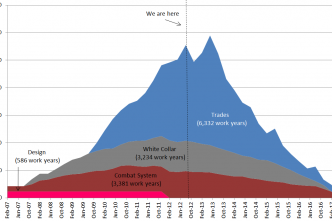 The Coles Report demonstrated that building and sustaining a complex system like the Collins class in Australia is a major challenge. And the FSM will be technologically even more complex. Of course, given the right strategies and skill, those challenges could be managed. But it will need to be resourced appropriately—again with an opportunity cost elsewhere. Government, DMO and defence industry need to have a realistic assessment on what’s required to do it right this time around. The Collins experience offers some valuable lessons in what not to do, but even if those challenges could be overcome, does a vision of the FSM as the core of a future naval ship-building industry really make sense economically, given the developments in naval shipbuilding around the world? The FSM is (potentially) the most expensive and technologically sophisticated defence equipment build in Australia. It’s also potentially one of the ADF’s most effective long-distance warfighting platforms. That means the stakes and risks are enormous. It also means that we better get it right. 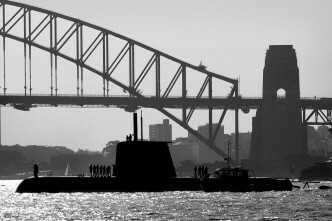 That’s why a broad and robust debate about the different options for Australia’s submarine capability is in the country’s (and the tax payers’) best interests. 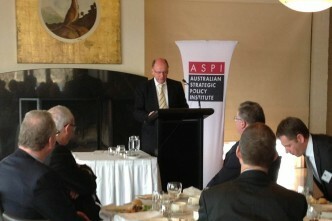 Andrew Davies is senior analyst for defence capability at ASPI and executive editor of The Strategist and Benjamin Schreer is senior analyst for defence strategy at ASPI. Image (c) Crown Copyright 2013.